Welcome to Cowboys & Angels Hairdressing, where we cater to the needs of both women and men and are acknowledged experts in all forms of cutting, colouring and styling of short and long hair. Founded in 1995 and owned by Sheila Burke, we are located in Dublin's South City Centre on what has now become a thriving South William Street — otherwise known as the Creative Quarter. Platinum certified by Great Lengths Hair Extensions and offering world-class colour services together with beautiful, bespoke hairdressing. You might come in with a picture or an idea of what you'd like but you'll always leave with a true sense of self. 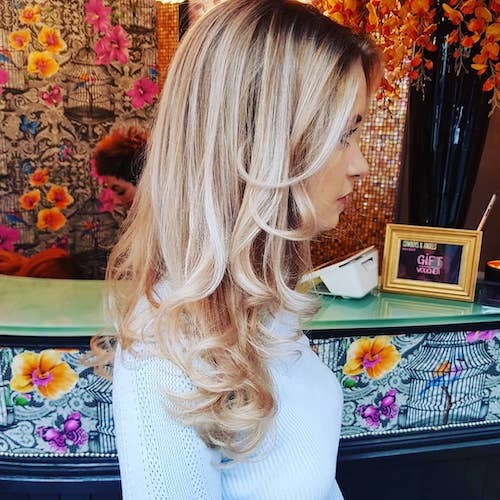 Hair Extension specialist, Rachel Wyse, returns to Cowboys & Angels — Now available for cuts, colours, extensions and personal transformations on Thursdays, Fridays, Saturdays, Sundays and Mondays (NEW Open Day — Mondays 11am-7pm — Spring/Summer 2019). To use our New ONLINE BOOKING system simply click on the BOOK NOW button below. Or, Phone: +353 (01) 679 7654 during Opening Hours — You can leave us a Voicemail after-hours.